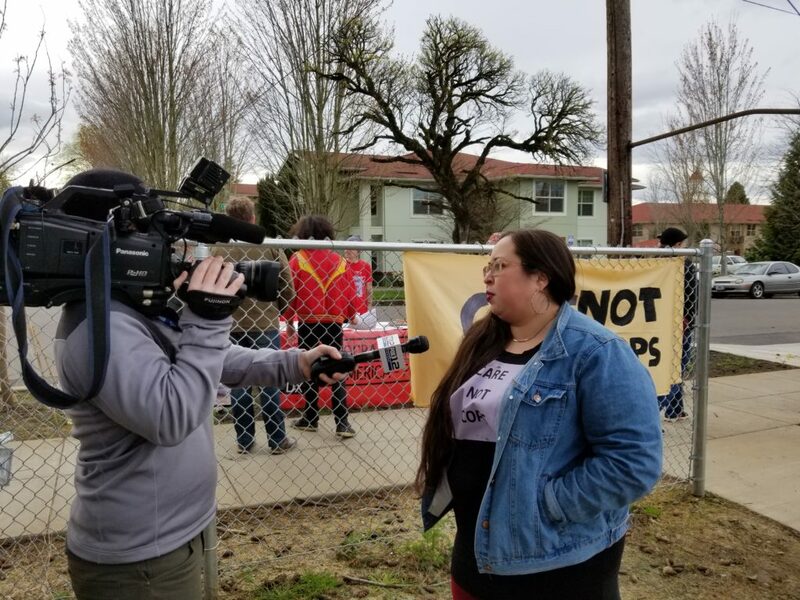 Our work is gaining strength across the country: in New York City, Los Angeles, Portland, and Oakland. 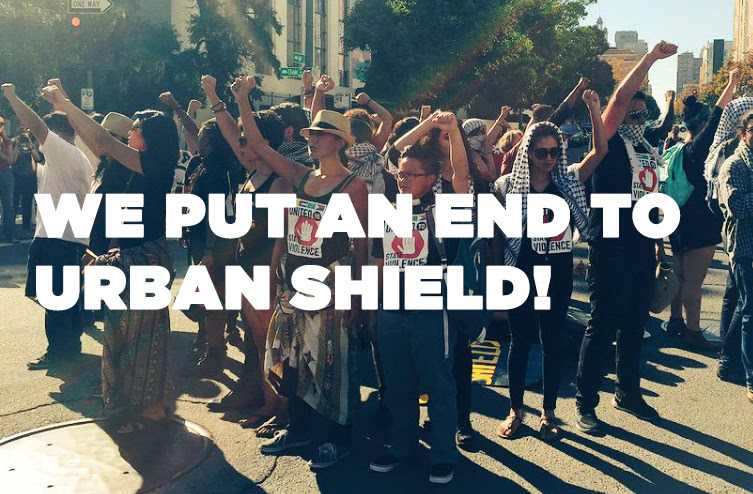 In Oakland we just won a historic victory in our campaign with the Stop Urban Shield Coalition! Read about our campaigns below and get involved in upcoming events and actions. Whether you are in a chapter city, or a fellow abolitionist on the road with us, we appreciate your role in this movement. 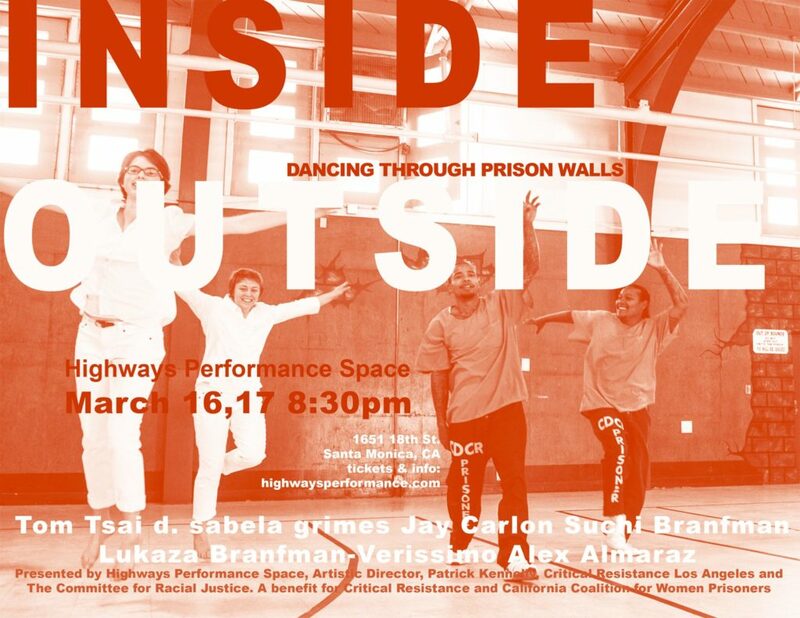 Together, we are building critical power to eliminate the prison industrial complex and create the world we need. 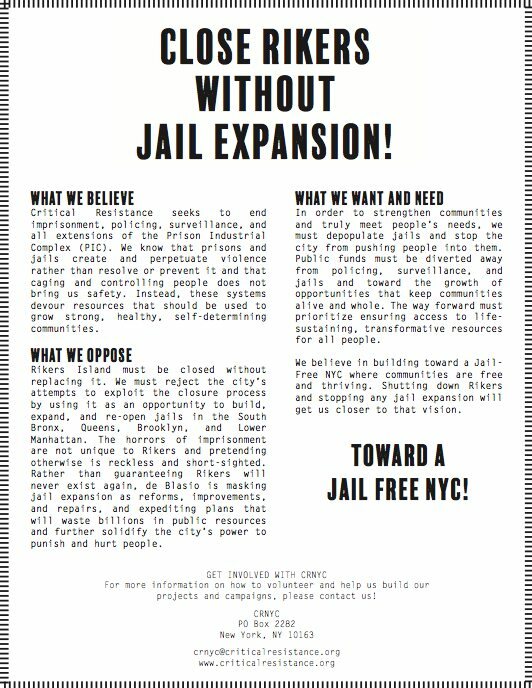 Critical Resistance New York City has been steadily building opposition to plans that would reopen, expand, and renovate jails. We aim to build with communities and we feel hope and energy as fights rise up across the city. It’s imperative to put forward demands and prioritize a way forward that shrinks the system as city officials try to fast track the jails by skipping over required oversight and accountability processes. We must shut down Rikers without building new jails and we will push toward that reality. Get involved with CRNYC by attending our upcoming volunteer mail night (tonight!). 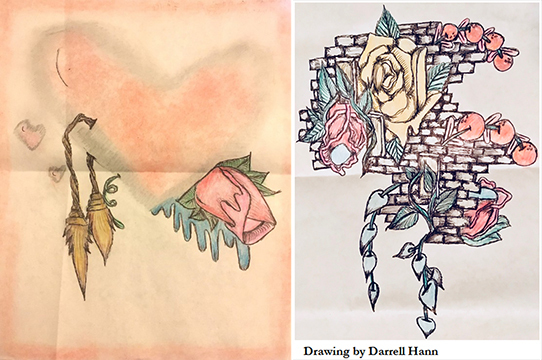 Through our mail program, we work alongside imprisoned people, helping to break down the isolation of imprisonment and build power. 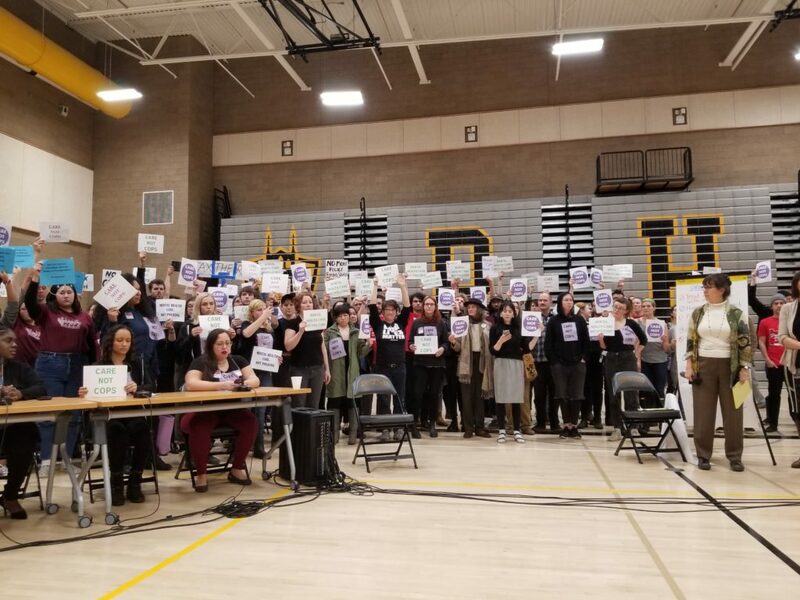 In Los Angeles, CRLA recently held a successful workshop and INSIDE OUTSIDE event series, drawing attention to our ongoing organizing to stop the LA County Board of Supervisors’ multi-billion dollar jail expansion plan. 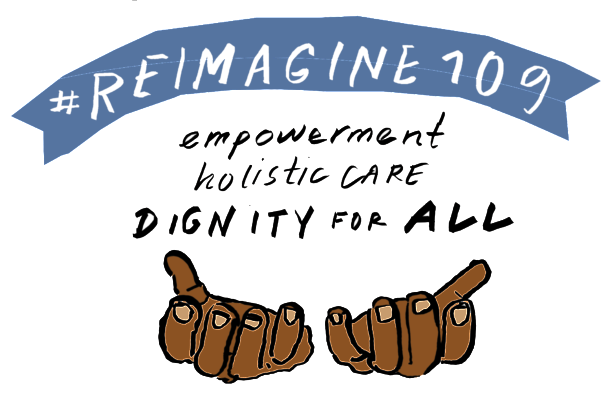 Along with Californians United for a Responsible Budget, ACLU of Southern California, and Drug Policy Alliance, we continue to lead efforts on the ReImagine109 campaign. 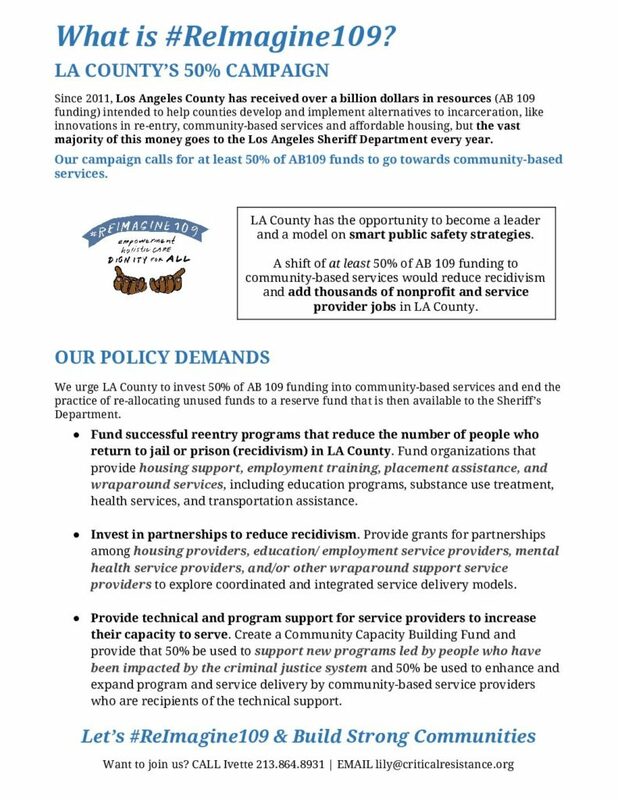 The Reimagine 109 campaign aims to divest funding that the County receives for reentry services out of the Sheriff’s Department, (where it’s mostly used for probationary control and monitoring) and invest it into community based services that can prioritize support, treatment, and care. Check out the flyer here. After years of organizing, CR Oakland and the Stop Urban Shield coalition put an end to the largest militarized SWAT training in the world. 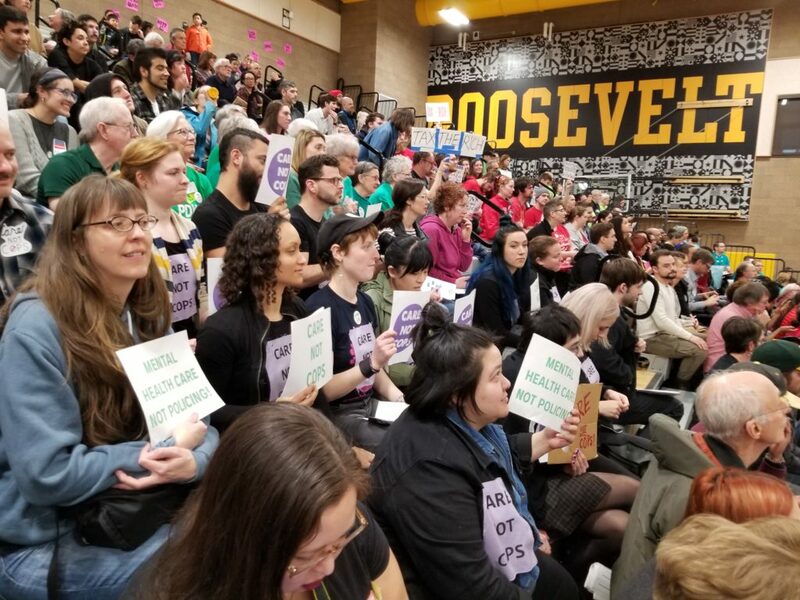 Hundreds of community members mobilized to the Alameda County Board of Supervisors meeting yesterday, where the Supervisors voted to end Urban Shield war games and weapons expo after 2018. This is a huge victory for our movement, and demonstrates that through our collective, sustained, and dedicated organizing, we can win! Read more here. Urban Shield does not provide disaster preparedness for the Bay Area as the Sheriff pretends; rather it trains ICE, local police and national law enforcement on militarized tactics. 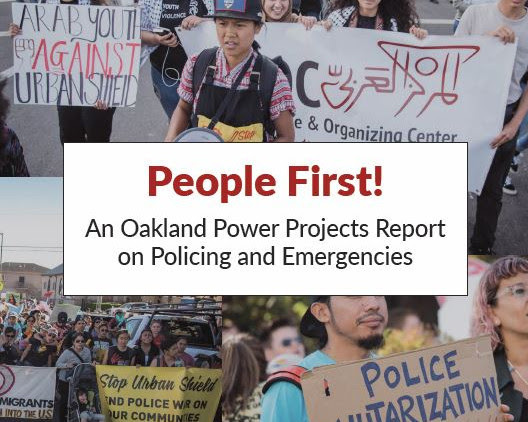 Last month we released a new Oakland Power Projects Report on the impact of police militarization on our communities and the need for genuinely community-based preparedness for emergencies. Click on the image and read the report featuring Bay area organizations and their needs and dreams for demilitarized Emergency Preparedness. CR Oakland and the No New SF Jail Coalition hosted Joining Forces Against Policing and Jails in San Francisco on April 7th, bringing together over 200 people from across the Bay area. Read the reportback here. 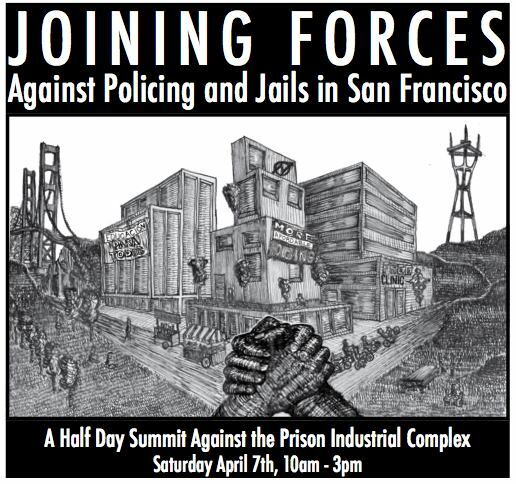 With a rapidly shifting political landscape, it’s a critical moment for building alliances across our movements – this summit will bring together organizational partners and community activists to discuss the connections between jail construction, gang injunctions, justice for community members murdered by police, tasers, bail reform, and increased policing on SF streets. Get involved with CR Oakland by attending our weekly volunteer night. 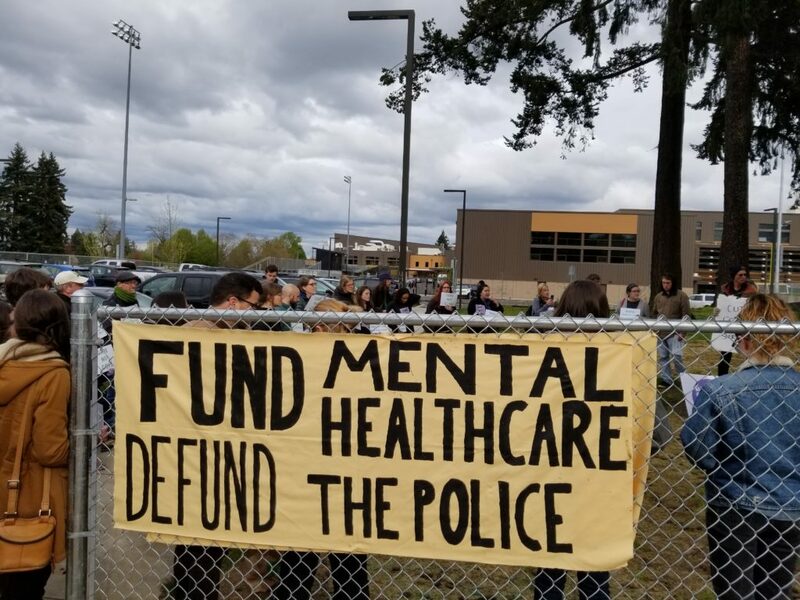 Meanwhile, in Portland, the chapter continues to anchor Care Not Cops, a Mental Health Care Not Policing campaign that is fighting for a reduction in the 2018-2019 Portland Police Bureau budget. We are demanding that mental health care be centered in the hands of community, and are calling for a reduction in police spending towards ultimately disarming and defunding the police. We unequivocally reject the Portland Police request for a budget increase of $12.7 million in order to hire for 93 new police positions! Read our budget analysis here. 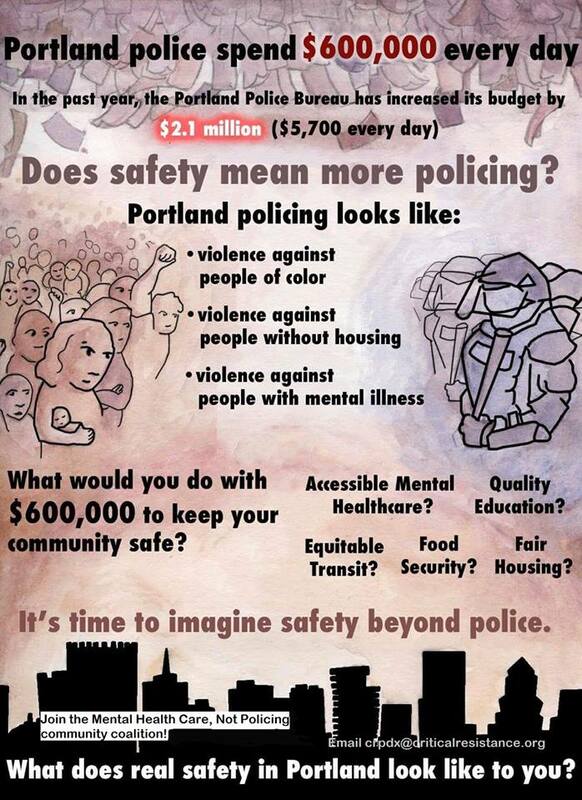 With the City of Portland prioritizing policing rather than trained community-based mental health first responders, people experiencing mental health episodes are punished or criminalized, often leading to imprisonment, injury, or death. Policing and imprisonment forcefully removes people from our communities and creates more severe long term problems, rather than providing the care we need.